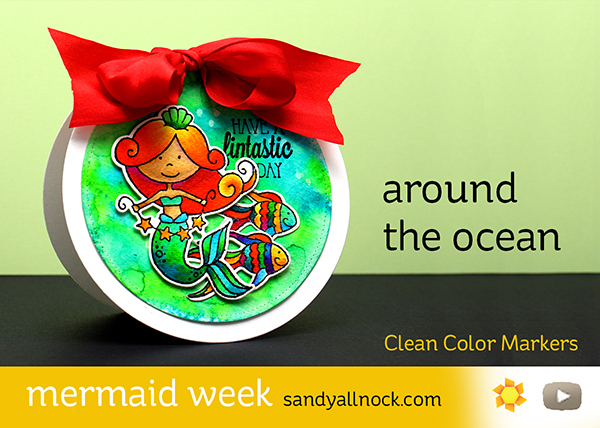 It’s Mermaid week here on the blog! 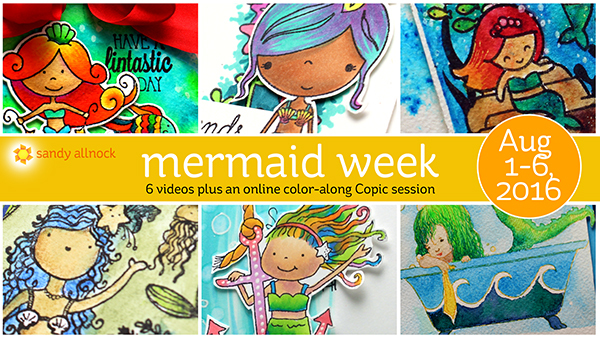 All week long, I’ll be sharing videos with different mermaids, different mediums, and this weekend: Copic color-alongs! When it comes to zig markers, I love using them on images without water – they blend well, and they don’t run wild. But for backgrounds? All kinds of water can make a cool underwater texture! Watch the video below, or click HERE to see it in HD on YouTube. On Sunday I’ll be online live, coloring the Greeting Farm mermaids below – you can download the digis and get them printed out, and be ready to color! I’ll be using Copics but you can use whatever medium you want, of course. Below are links to the supplies I’ve used for all the mermaid cards (just so they’re easy to find); supplies for today’s card are in bold. Compensated affiliate links may used, which means if you make a purchase I receive a small commission at no extra cost to you. I truly appreciate your support toward the costs of running this blog! Read more. This is so bright and beautiful. An amazing card! My first comment didn’t stick :(. Trying again. 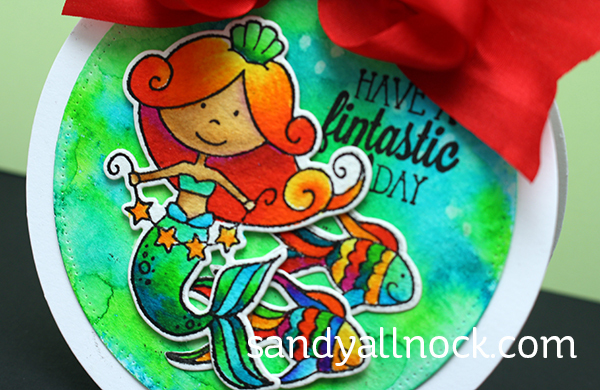 I really like the colors on this card and the mermaids are very sweet. Thanks Sandy! What do you use to adhere her down to the card? They’re not foam pads, they look like gel?